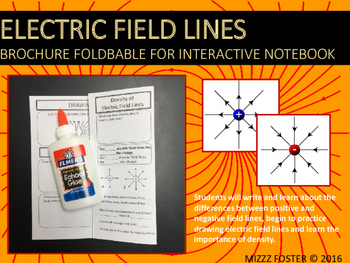 This is a one page graphic organizer foldable in the brochure style. 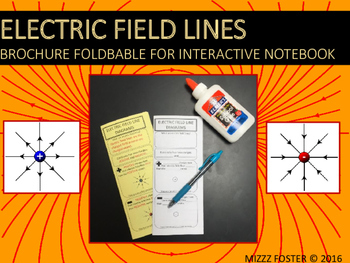 Students will learn and write about the characteristics of positive and negative electric field lines. 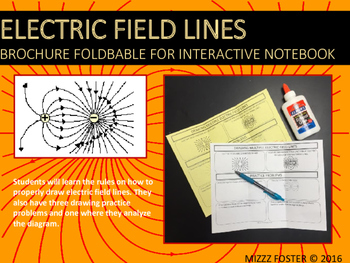 Students will also be given instruction on how to properly draw electric field lines, how density plays a role and they have some practice drawing problems along with one diagram for analysis. 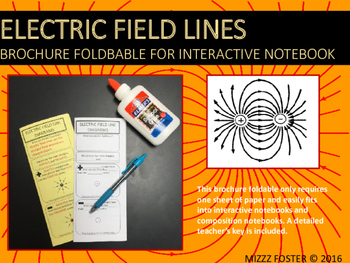 The brochure fits into a composition notebook or spiral ring notebook with ease and a teacher's key is included.